8 trucks allegedly loaded with chemical agents have arrived in Jisr al Shughur town from Atme town located near Syrian-Turkish border. According to the source, Hay’at Tahrir al Sham terrorists provided security for the transportation of the convoy. The reports say the Turkestan Islamic Party (TIP) will be involved in the upcoming chemical attack false flag. Witnesses claim they saw HTS terrorists give TIP militants a number of barrels. According to the source, HTS terrorists had earlier required White Helmets to join them. 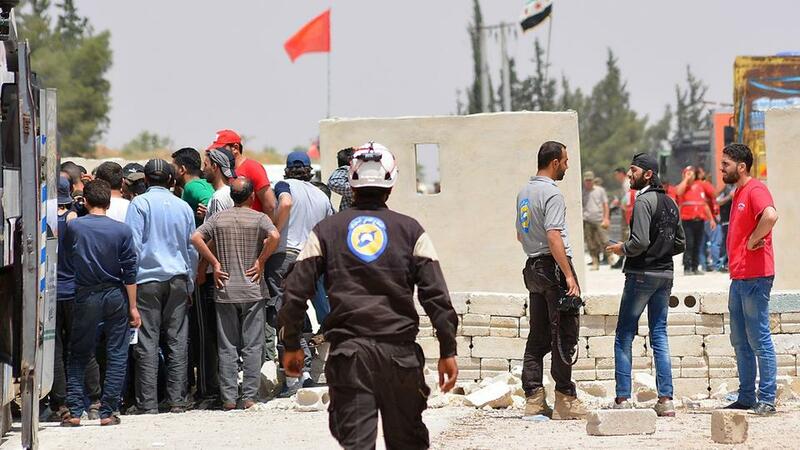 Civil Defense members have accepted a ‘proposal’ for cooperation.